As our Opening Day approaches this Saturday, it is wonderful that our local Retailers are again joining in the festival with a trail of wonderful decorated windows. 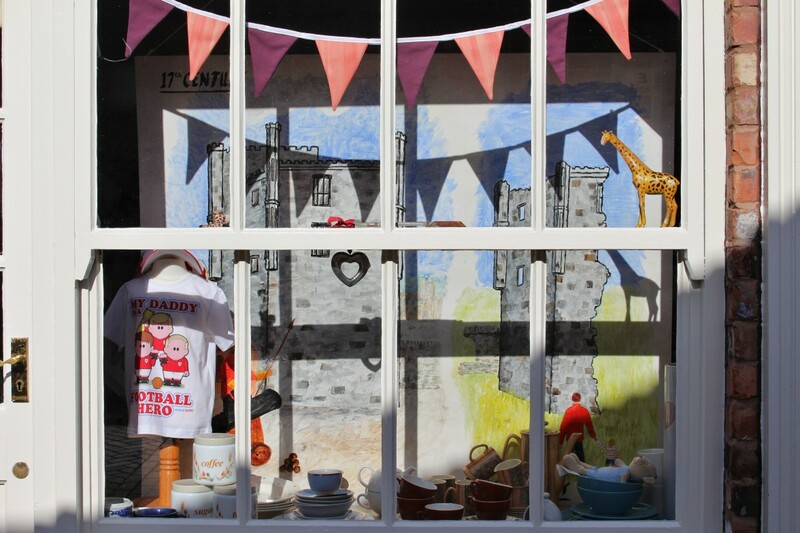 Some are already on display, like this lovely picture of the ruins of Ashby Castle in the window of the Home Start Charity Shop in Rushton’s Yard. More will be appearing over the next few days and you can pick up one of the Window Trail quiz leaflets from the fair2all shop, 17 Bath Street, Ashby (opposite the Loudon Monument). 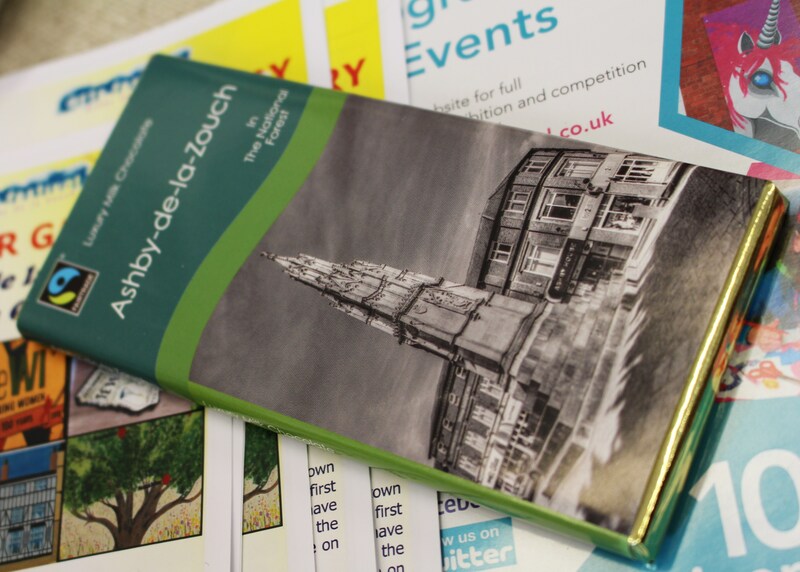 Speaking of the Loudon Monument, it features on the wrapper of the new Ashby de la Zouch Fairtrade Chocolate bars which you can win for correctly completing and returning the quiz leaflet. Very tempting, and just one of the many festival activities going on in Ashby this Bank Holiday weekend and throughout next week.